Like its more expensive cousins, the Squier Bullet Strat HT is loaded with the bell-like tones of three single-coil pickups. This electronics arrangement offers some of the most popular and iconic guitar tones in history. Combined with a 5-way pickup selector, a single volume control, and one tone knob, you'll be nailing the familiar tones of legendary Strat players, such as Jimi Hendrix, Stevie Ray Vaughan, and Ritchie Blackmore. You'll even find a Bullet Strat HT in many Sweetwater employees' personal collections for just this reason. All the refined details that have made the Stratocaster one of the most legendary instruments in history can be found on your new Squier Bullet Strat HT. The comfortable and familiar forearm and body contours make playing the guitar a joy. Your instrument will ring true, thanks to a Indian laurel-capped genuine maple neck. The 6-saddle hardtail bridge allows for fantastic intonation up and down the guitar's neck. 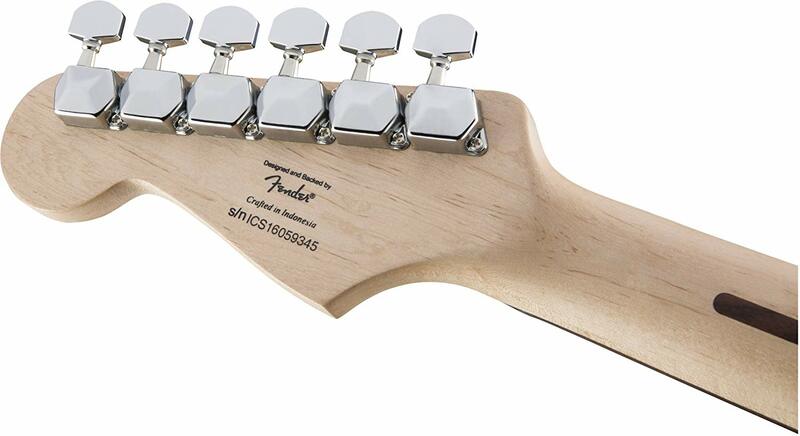 And you'll love the striking image cut by the Squier Bullet Strat HT's iconic Stratocaster headstock. By utilizing a hardtail bridge on the Squier Bullet Strat HT, you're able to enjoy more sustain and tuning stability than that offered by a traditional Strat's tremolo. More wood is left in the body, enriching your tone with greater harmonic content and thick sustain. Without the string movement of a non-locking trem, your strings will sit comfortably in the nut, avoiding any pinching or binding. 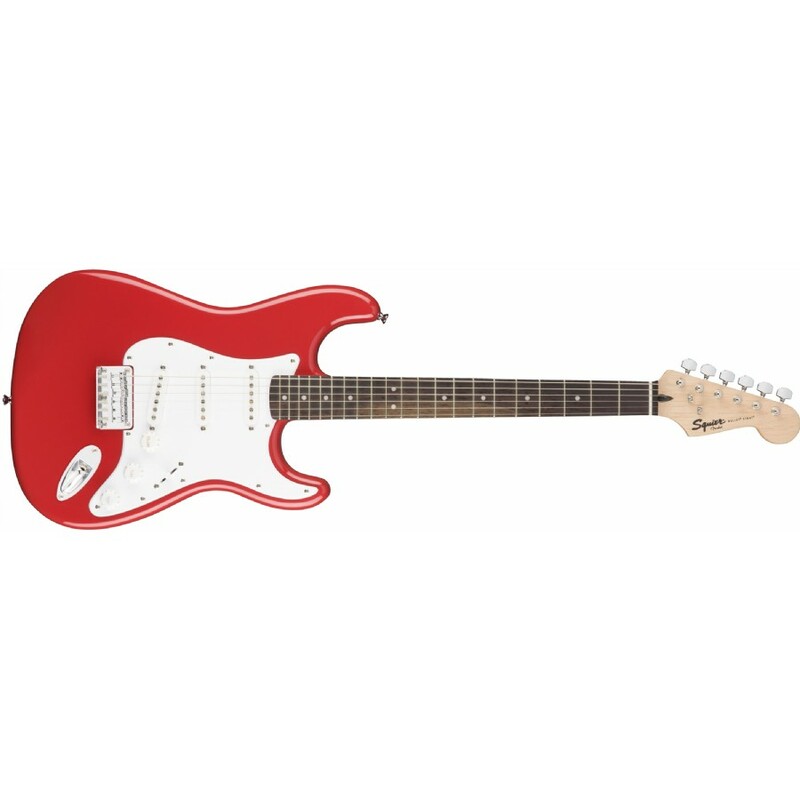 If you don't require the pitch control of a trem, you'll love the Squier Bullet Strat HT.